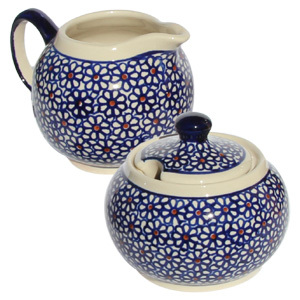 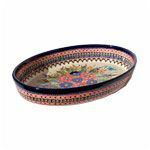 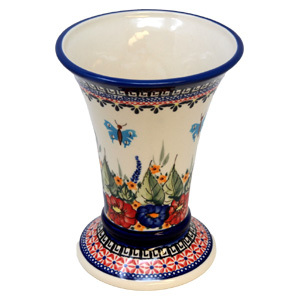 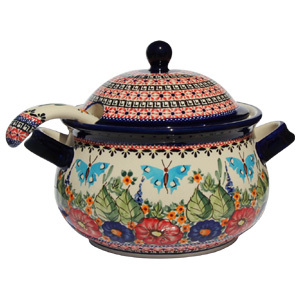 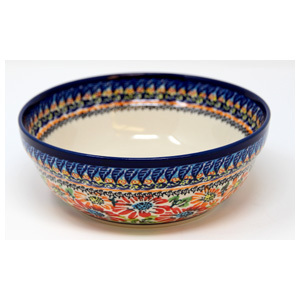 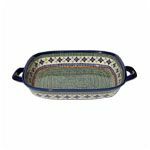 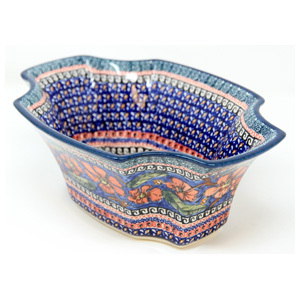 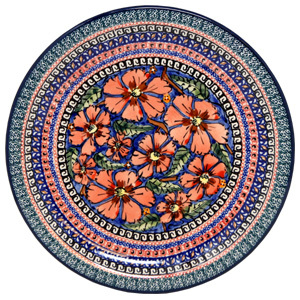 The Polish Pottery plate in Unikat navy blue and maya blue crocus centric pattern with orange accents is made in Zaklady Ceramiczne BOLESLAWIEC. 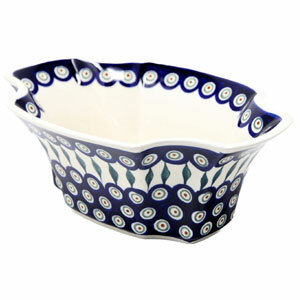 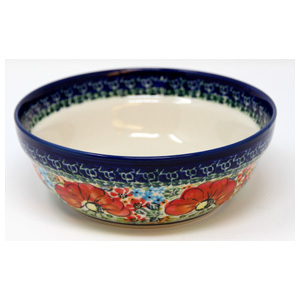 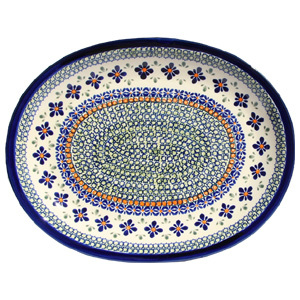 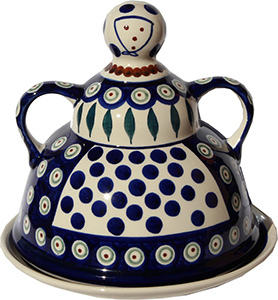 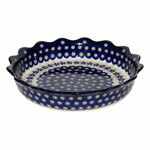 The Polish Pottery plate is ten and three quarter inches in diameter. 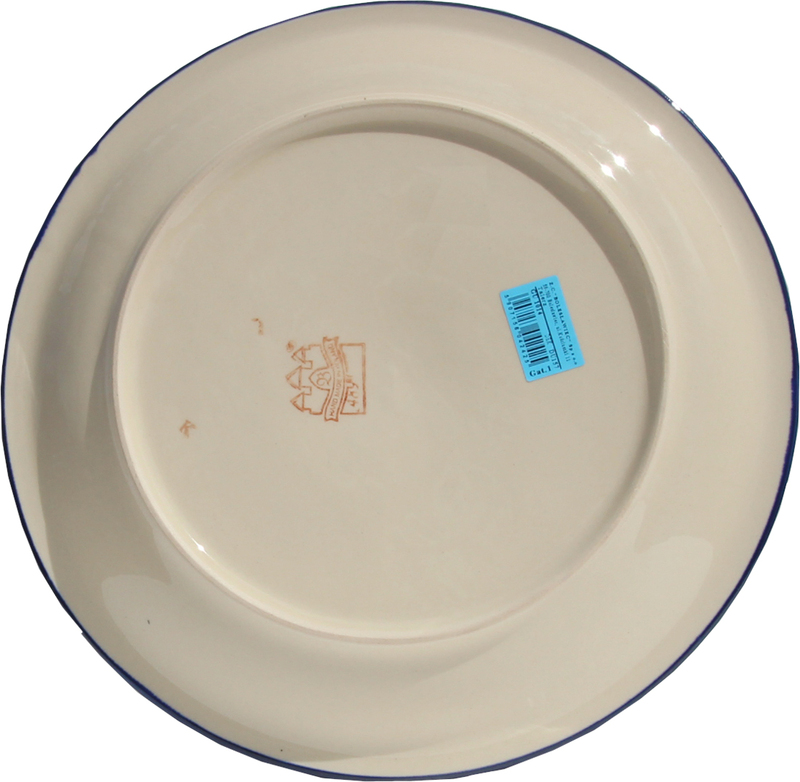 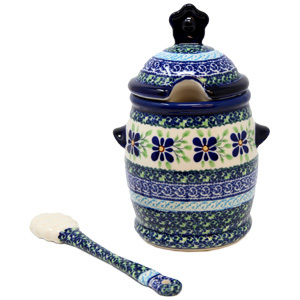 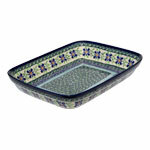 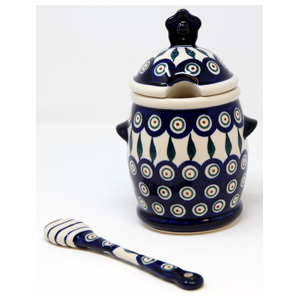 A cheery stoneware to take center stage at meal time. 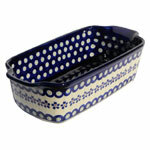 It is microwave and dishwasher safe so fading is out of the question. 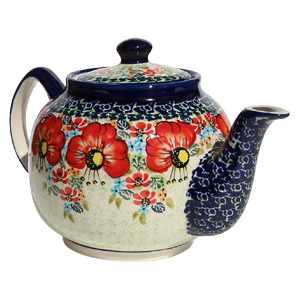 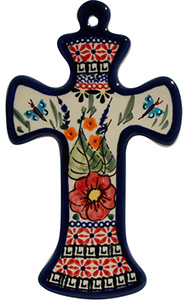 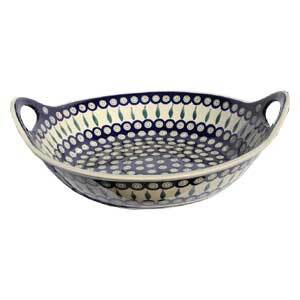 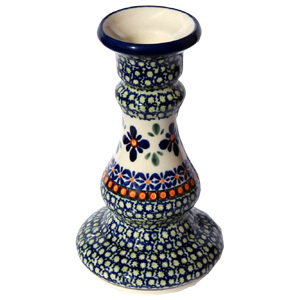 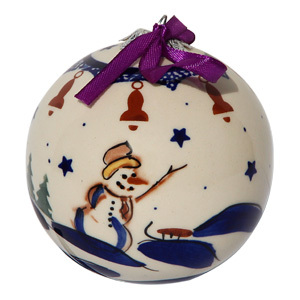 Accentuate décor by displaying ceramics on a wall or tucked in a cabinet.